A special combo includes the pagoda tour and boat trip in Ninh Binh, trekking tour in Mai Chau - Pu Luong and overnight cruise in Halong Bay. Within 6 days, this trip surely brings you many joyful experiences with interesting landscapes and exciting activities. 8:00 - 8:30 Pick you up at your hotel in the Old Quaters, then leave by coach to Hoa Lu (2.5 hrs). 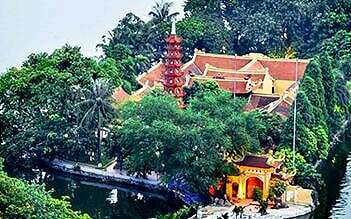 Visit the historic capital of Vietnam and the famous ancient temples of Le and the Dinh Dynasties. Then our bus will transfer you from Hoa Lu to Tam Coc for lunch around at 12:30PM. PM : After lunch, boat trip to visit Tam Coc to see the beauty of the karst formations as you pass along their base and row into one of the many caves carved through the limestone. Then, cycle for an hour on quiet roads through villages, rice fields, rivers and rocky outcrops in Tam Coc - Bich Dong (around 5 km). 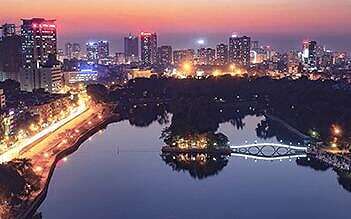 Dive back to Hanoi and drop off at your hotel around at 18:00. 8:30 – 10:30 : Drive / ride motorbikes 35km to Pu Luong Nature Reserve (motorbike drivers available). 10:30 – 12:30 : Trekking in Pu Luong Nature Reserve to explore a stuning cave. 13:00 – 15:00 : Enjoy Lunch in the village and enjoy the riding back to Mai Chau by taking another road through the beautiful rural villages. 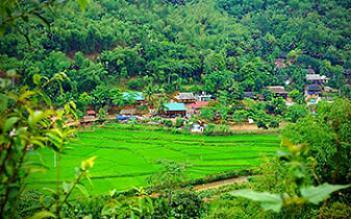 15:30 : Arrive in Mai Chau enjoy your free time with your motorbike to explore the Valley yourself. 8:00 : Go with local tour guide to visit more remote rural villages Na Meo, Na Mo and Xam Pa villages to understand more about their culturevand customs. 18:30 – 19:00 : Arrive in Hanoi Old Quarter. Drop you off at your hotel. 7.45 - 08.15: Pick up from your hotel in Hanoi. 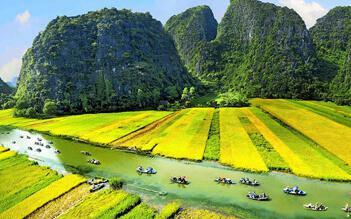 Drive to Halong City through the paddy fields in the Red River Delta. We were a little afraid because we booked the trip online but it was better than we expected. The hotels were amazing and we received everything that they promised and more. Our trip was to Ninh Binh, Mai Chau, Halong. All of them is beautiful. The meals is variety of foods, especially for vegetarian. Thanks Nana helping us. Highly recommend. 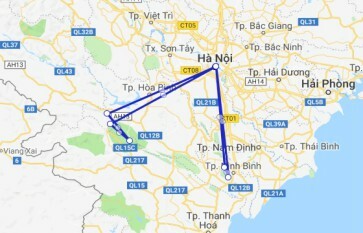 From the minute I booked the tickets to the day i left Hanoi, Asia Package Travel looked after me in top notch form, I had booked a few day trips with them and they were always on time , professional and gave a great tour. The guides were very knowledgeable and their English was pretty good although did have a few moments of confusion due to the pronunciation. I found your company online and from the very first contact found them extremely helpful. Transfers, tours, guides and drivers were caring, spoke English well and made our Vietnam experience a good one. Couldn't have asked for better. Great value! Went to Vietnam for the first time can be very daunting and difficult for travellers like me. Asia Package Travel has made it so easy. They are prompt with the schedule and all the tour guides they arranged had excellent english skills and broad knowledge about the places. Asia Package Travel's service was excellent and the price was cheap, so it worth every penny spent. Thank you Tammy for all your help! 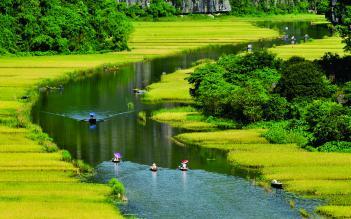 We love the ride on the sampan down and up the river in Ninh Binh. Pass some nice bungalows along the river, look like nice and quiet getaways. Nice bicycle ride after the boat ride. Visit to the temples were ok, nothing spectacular. Ha long bay is a must see for a trip to Vietnam. Our guide Hoang was very knowledgeable and a genuinely nice person. Always bending over backwards to help. a tourist guide took us for a bicycle tour in the surrounding area. We rode through paddy fields in Mai Chau, we witnessed the amount of hard work of these farmers as it was harvesting season. however, they looked happy and healthy. Wouldn’t hesitate in recommending them to anyone.